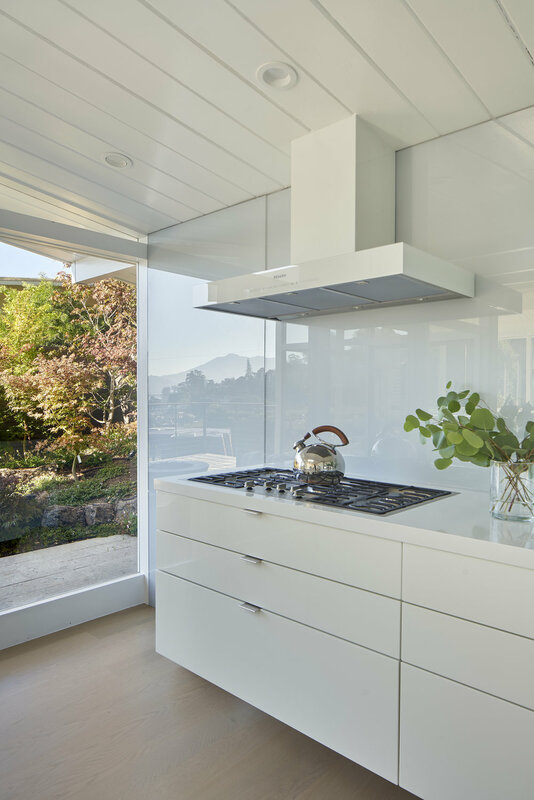 This extensive remodel of and addition to an existing mid century house in Sausalito surgically removed problematic and unsightly elements, while maintaining the critical lines and concepts of the original architecture. 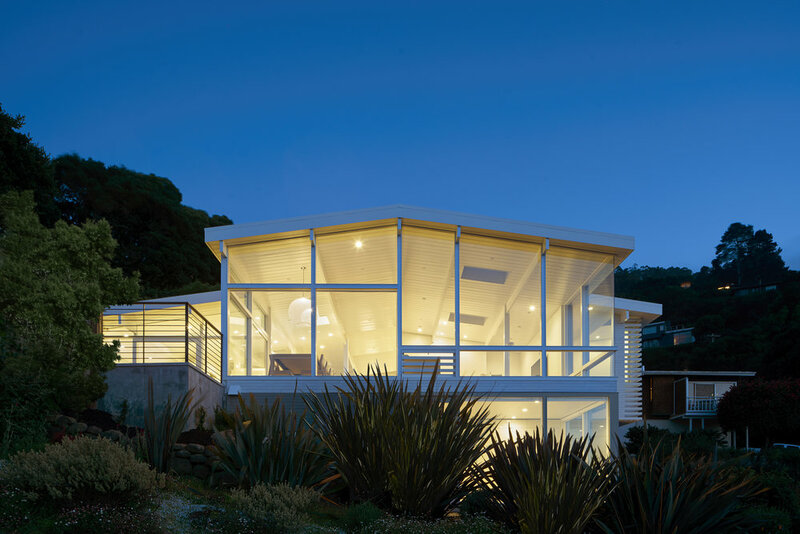 The design also transforms the experience: the new house responds to its site formally, and experientially by unveiling previously hidden dramatic Bay and Mountain views. 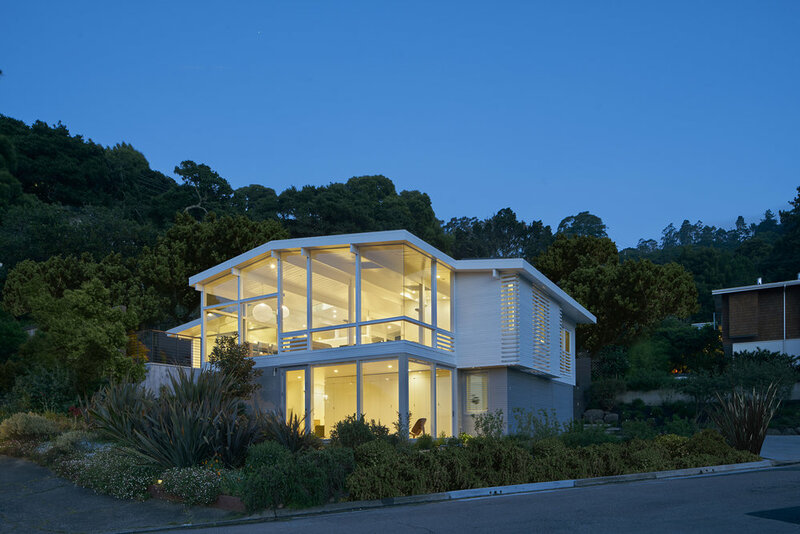 The project created an accessible and affordable Accessory Dwelling Unit (ADU), the first ADU to take advantage of the City's new zoning allowances - spearheaded by our client, a partner at one of the top commercial architecture firms in the world, who is a champion for accessibility and affordable housing for all, and in all neighborhoods. 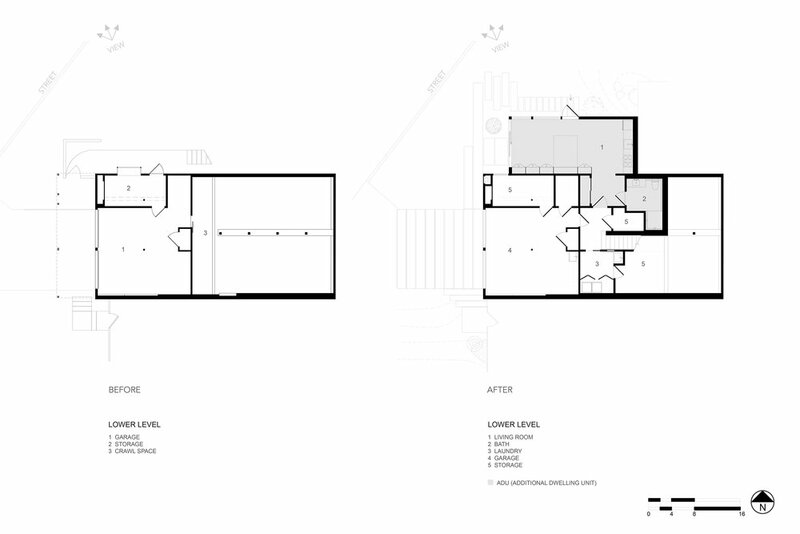 All of this with only 765 sf added, only 85 sf of which was on the main level. 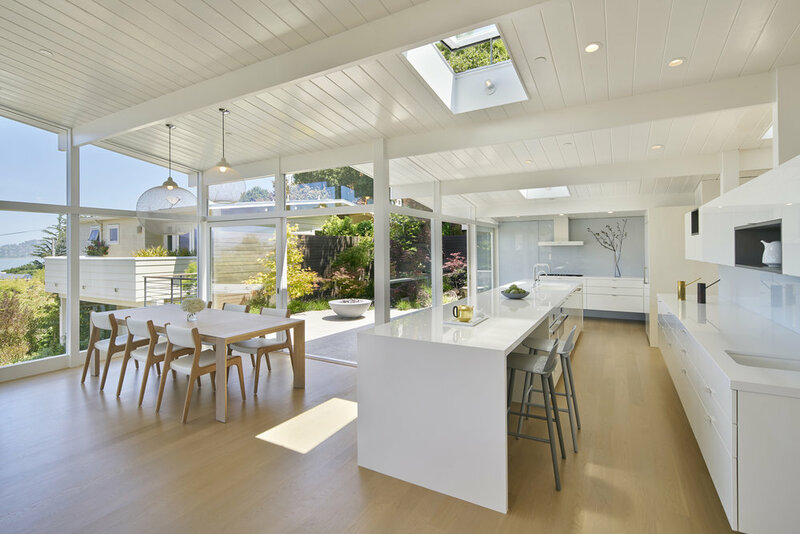 ARCHITECTURE and interiors: JENNIFER WEISS ARCHITECTURE. Furnishings: Almond & Co. fRITZ hANSEN. cARL hANSEN & sON. The Future Perfect. dASH LANE. arkitektura. B&B ITALIA.